This month’s The Weekend Gourmet Dines Out feature restaurant is Luke San Antonio, the only restaurant by acclaimed New Orleans Chef John Besh that is located outside of Louisiana. This is definitely our good fortune! 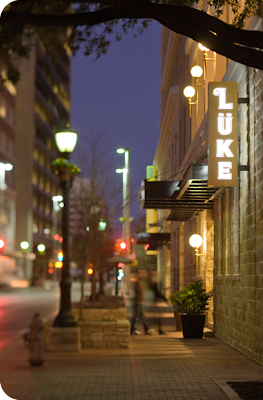 Luke San Antonio is located on a quiet stretch of the River Walk on Houston Street, a location that works great for both locals and visitors to our city. Chef John Russ serves food that is comforting, yet refined…and the atmosphere what I like to call upscale casual. We were recently invited to come for a dinner tasting of some of their signature men items. We left our car with the valet, entered the restaurant, and were quickly seated at a table with lots of windows and natural light overlooking the River Walk view outside. We started with a duo of cocktails, including the classic champagne-based French 75. With the cocktails came a flavorful oyster amuse bouche…also known as a lagniappe in New Orleans. 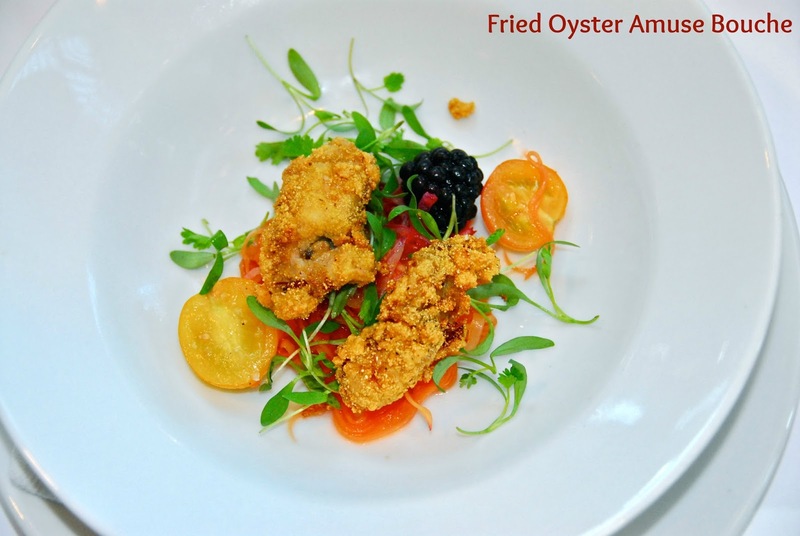 We don’t normally seek out fried oysters, but this starter was amazing and bursting with flavors. The oysters were light and crispy and paired with pickled papaya, as well as local tomatoes and blackberries. It was a perfect start to a memorable meal! Chef Russ came out of the kitchen to present us with an assortment of Luke's House-Made Charcuterie, Pickles, Mustard, and Marmalade. These tasty bites were served with light and crispy baguette slices. 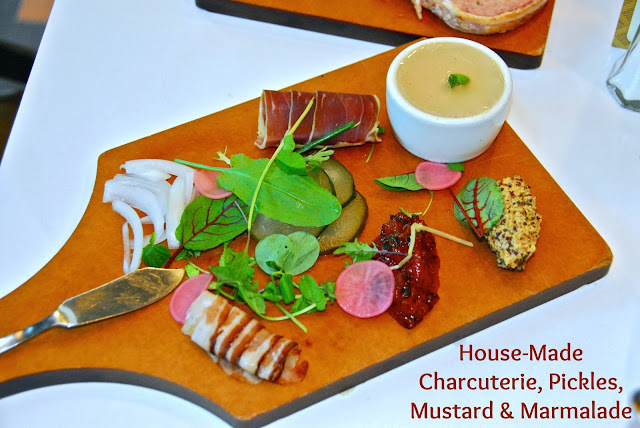 Chef Russ is proud of his in-house cured meats and pickles, and rightfully so. They are delicious and so very creative! 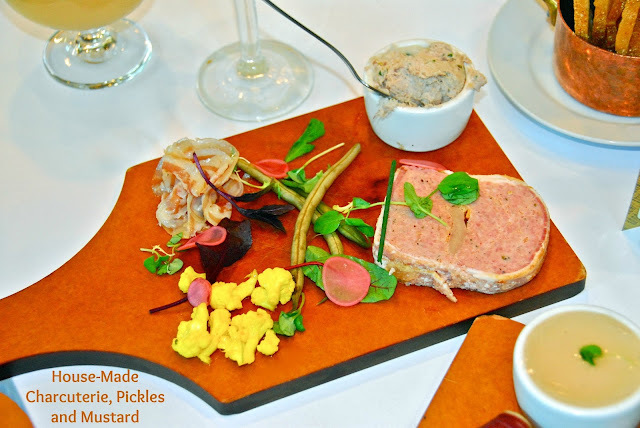 We enjoyed an assortment of items that included lamb ham, squirrel terrine (rich and delicious, by the way...), tangy pickles, pickled cauliflower and green beans, and pate. All of the items were expertly prepared, but the lamb ham and the cauliflower were our personal favorites. Just about the time we finished with the charcuterie, our salads came out. 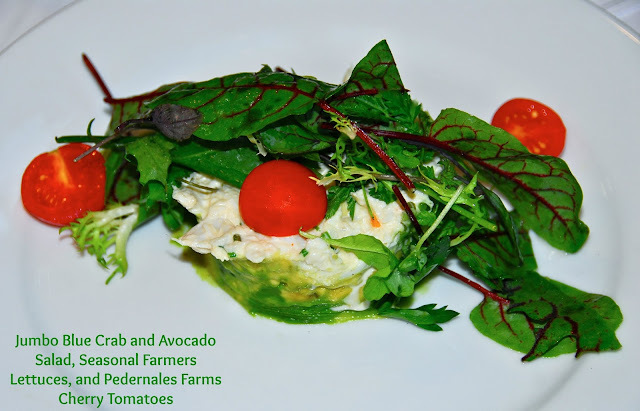 I had the Jumbo Blue Crab and Avocado Salad with Seasonal Farmers Lettuces and local Pedernales Farms Cherry Tomatoes. This was one fabulous salad! It was creamy and delicious, and the rich avocado matched perfectly with large pieces of sweet blue crab. 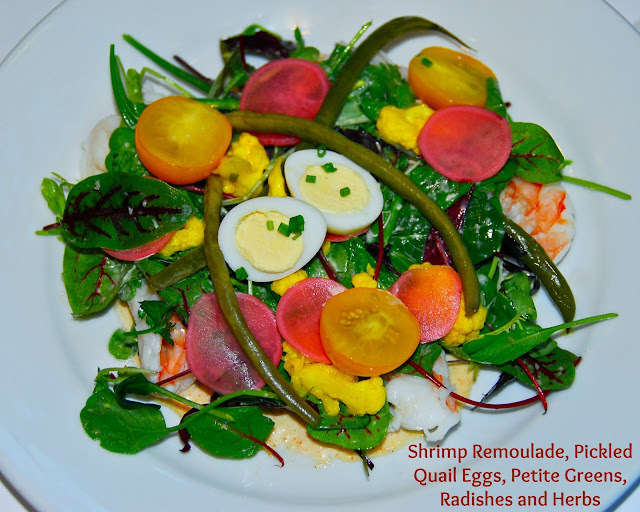 Michael had the Shrimp Remoulade with Pickled Quail Eggs, Petite Greens, Radishes and Herbs. This was a colorful dish that took one of our favorite New Orleans dishes and elevated it to an elegant salad. All of the elements worked really nicely together, providing layers of flavors and textures. As we enjoyed our salads, we agreed that Luke is just the kind of restaurant we like. They serve gorgeous food that features many local ingredients, and it tastes fabulous. We love big-flavor dishes, and Luke certainly delivers on that! We couldn't wait to enjoy our main courses. We both opted for seafood for our main courses. 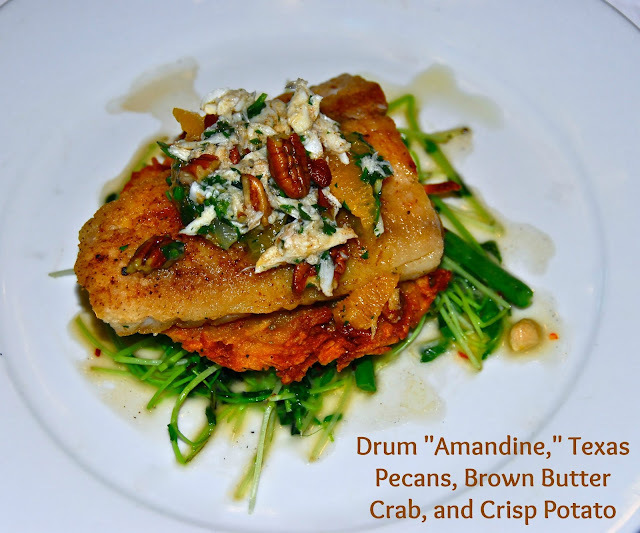 I had the perfectly prepared Drum "Amandine" with Texas Pecans, Brown Butter Crab and Crisp Potato. It was an explosion of flavors and textures: a crispy potato cake base topped with seasoned fish, sweet crab, and earthy Texas pecans. It was amazing! Michael had their signature New Orleans Style BBQ Shrimp and Grits. 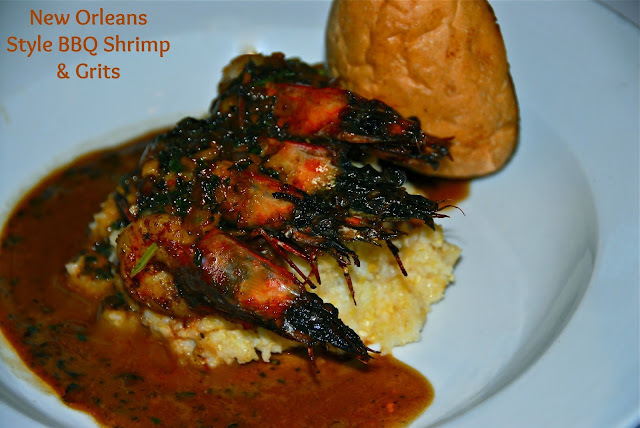 This dish features creamy grits topped with jumbo head-on shrimp and a spicy New Orleans-style BBQ sauce. This is one of Michael’s all-time-favorite dishes: plump shrimp, a spicy buttery sauce, and earthy stone-ground grits. Each bite is like a taste of Mardi Gras! It comes served with toasted bread so you can enjoy every last drop of the flavorful sauce. We were getting pretty full by then, but Chef Russ told us to save room for dessert. Michael never met a bread pudding that he didn’t like, so he was thrilled to see Brendan’s Bread Pudding come out from the kitchen. 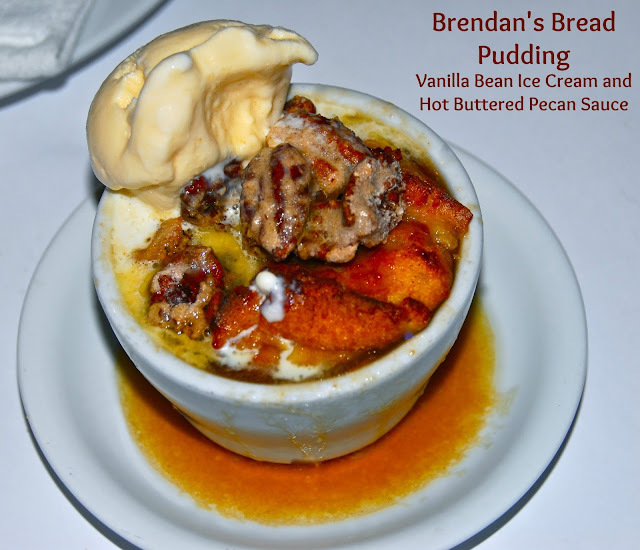 This no-raisin bread pudding is served with vanilla bean ice cream and hot buttered pecan sauce. This rich dessert was comforting and delicious. We also had a Summer spin on another New Orleans classic: Bananas Foster Sundae. 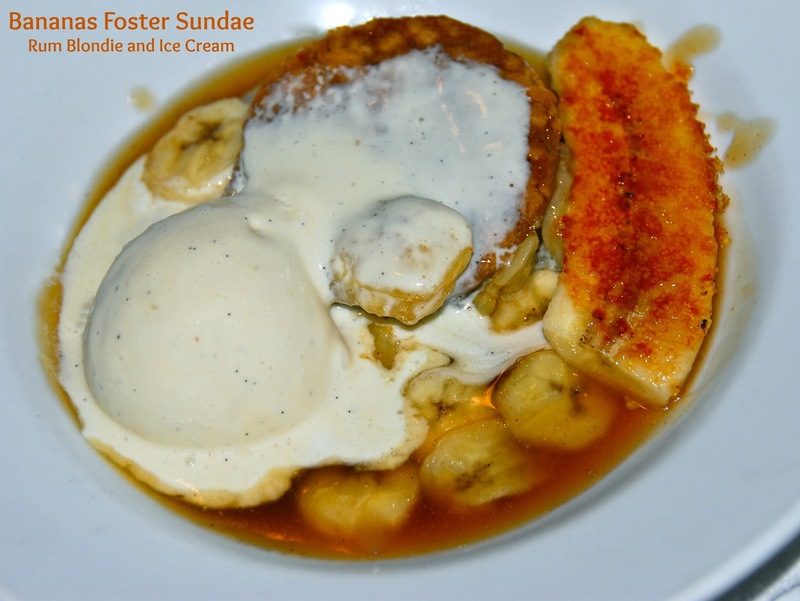 This dish features bananas in a warm caramel sauce that's served over a rum blondie and topped with ice cream. Both desserts were immediately familiar to NOLA lovers like us, but they were served with a fun twist. One hint for music lovers to keep in mind: one of the best things about dining at Luke on Tuesday evenings is live jazz music, which is provided by South Texas Jazz. This popular San Antonio-based jazz quartet provides the perfect festive backdrop for a fabulous evening of dining. Michael and I are jazz lovers, so the music was the perfect touch to complete our dining experience during our visit. 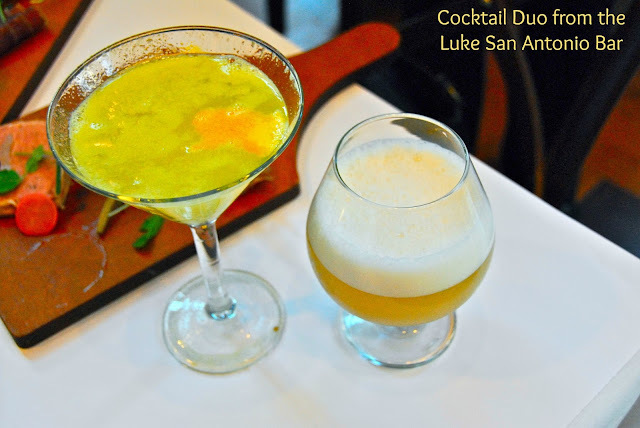 We thoroughly enjoyed our dinner experience at Luke San Antonio. 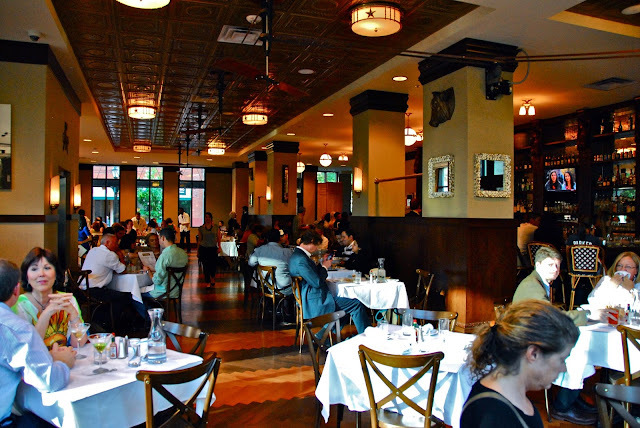 The location and atmosphere are great, the staff is friendly, and the food is amazing! 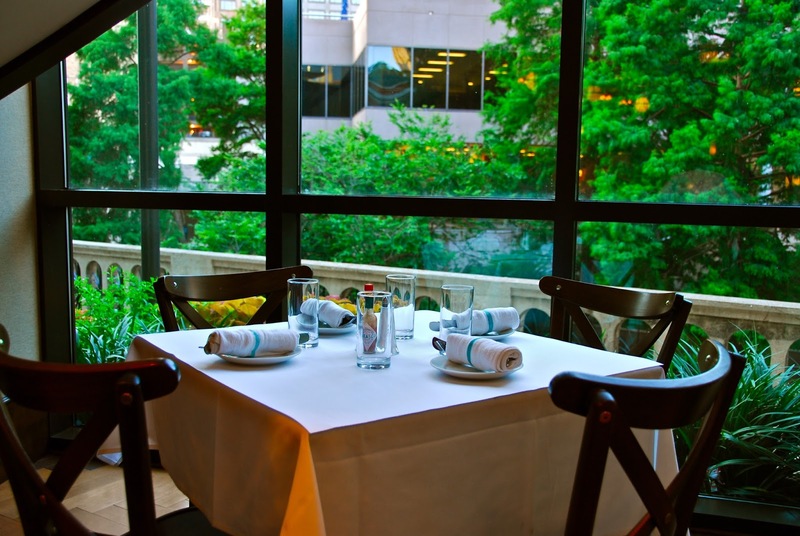 Add it all up, and it’s a fabulous dining experience in Downtown San Antonio. Luke San Antonio is located inside the Embassy Suites Downtown Hotel. Reduced-price valet parking is located at the entrance to the hotel. In addition, there are several self-pay city lots located within a short walking distance of the hotel. For local residents, Luke is located just up the street from The Majestic Theater; that makes it a very convenient option for pre-show or post-show dining. Disclosure: Luke San Antonio provided us with a complimentary dinner tasting to facilitate this article. All opinions express are my own. Photographs are copyright Michael K. Garcia and may not be copied or otherwise used without prior permission.